Bottom of a soundboard from the bottom. The ribs maintain the crown on the board. 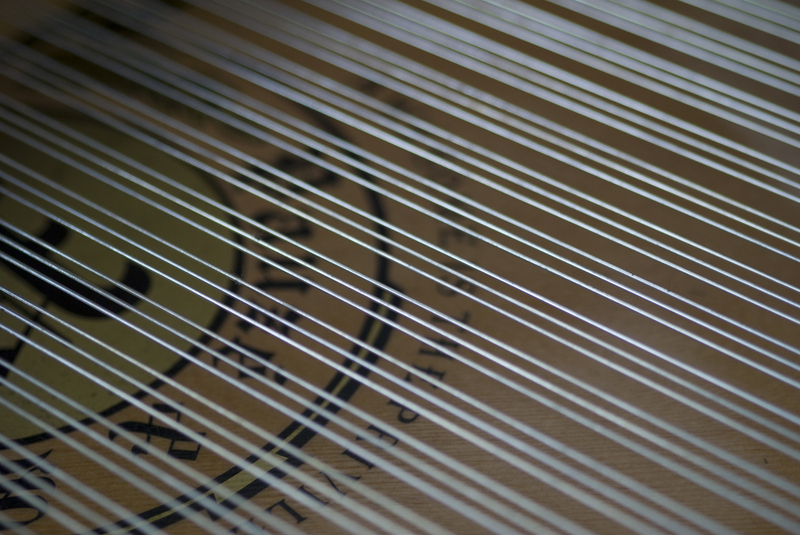 The second reason to get your piano tuned at least once per year is to maintain the pitch of your instrument. Pianos are designed to be tuned to concert pitch which generally range from A440 to A442. Even if you don't play the piano, the pitch will gradually drop because the stings relax as does the soundboard panel. The longer you the piano goes without being tuned, the flatter it gets. If the piano hasn't been tuned for a few years, it is likely that more frequent tunings will be necessary to get the piano stable again. Essentially you have to retrain the piano to stay at concert pitch. Yearly tunings insure that the piano will always stay close to concert pitch.